I'd say the reason is usually that when a company has sold you its product, they suddenly lose all interest in you until they come up with a new product to sell. Apple used to be a very good example with its battery policy. "So, your battery died? We don't sell new or replace dead batteries, but you can always buy the new, better iPod." Agreed - glad they listen to Anand. It just goes to show that companies are not customer focused. Unless they get shoved hard enough, or see that the bottom line will be affected greatly, they just hope you'll give up after being mired in the revolving email chain or sent through 5 level deep phone support. It's not about being customer focussed or not. Quite frankly, what percentage of upgraders will go into this level of detail? 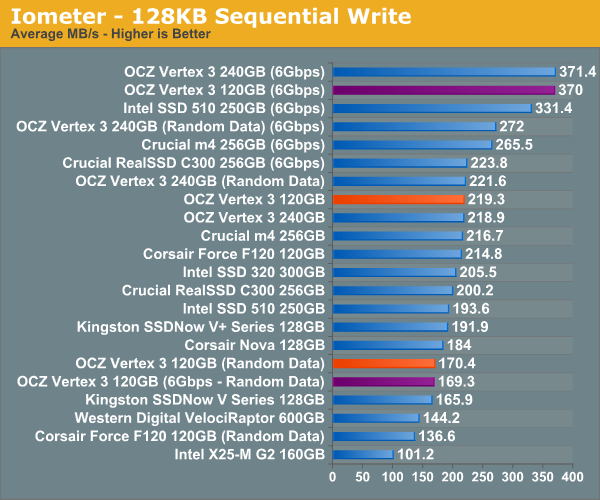 Furthermore, 25nm sounds better than 35nm to most people and that's salesmen included. After all that, it's a victory for transparency for a tiny few. In terms of marketing, there's little you can do except re-brand the entire product range. The problem here is that this is the cutting edge of technology and that in 12 months time, it will be surpassed. Then how do you re-vamp the line? Graphics cards have this problem too and the model numbers are baffling for 99% of first-time buyers. What I would advocate is a sticker valid for 3 months on the product that lets you know which product in terms of performance you are buying and a URL you can visit to check for an update. Then it would be nice for salesmen to allow customers to verify this. 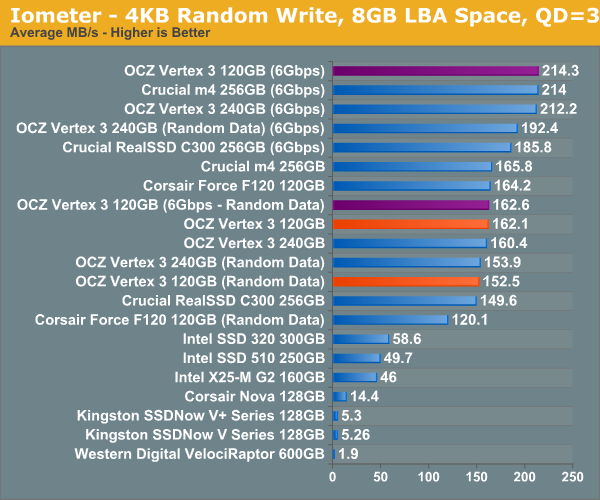 Yep, at least OCZ have made a commitment not to use slow hynix nand and are being more transparent with real world performance but its all too little too late. Branding drives with the 25 or 34nm prefix is redundant now that all(or most) nand being produced is 25nm. 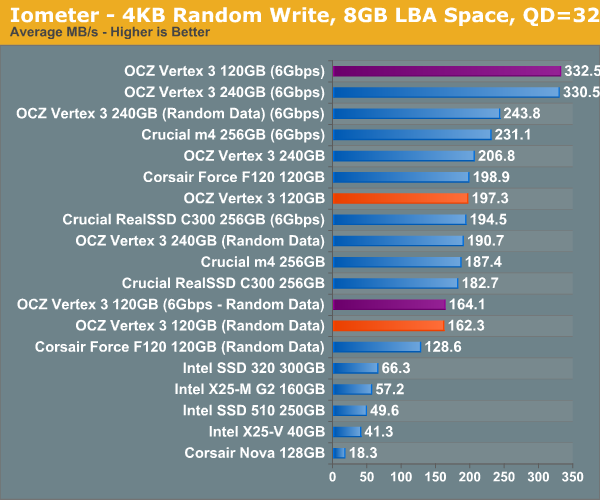 Ocz made no real attempt to fix the problem when they needed to, and continued to sell the drives even after the consumer backlash. 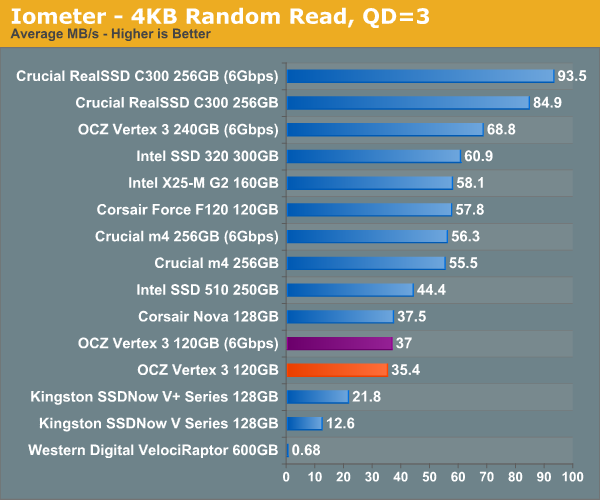 I disagree with Anand that other manufacturers of sandforce controller drives hide the specs as OCZ did. Corsair rebranded their 25nm drives from the start. Other non sandforce drives from Intel also rebranded their 25nm drives. Its true that many companies use different components and use the same branding but rarely does the performance vary as much as 30%. 30% is a huge and not acceptable for high end expensive parts..
Its a pity Anand didnt really have anything to add on the Spectek issue that hasnt already been said. I find it hard to believe a company like Micron would sell very expensive nand cheaper to Spectek unless there is some problem with it. Saying Spectek nand must be OK because it is still rated at 3000 cycles doesnt sound very thorough or tell us the whole story. The cycle rating could have very different testing standards between Micron and Spectek. I would have thought it would be easy for someone like Anand to ask Micron or Spectek if the Spectek nand is tier 1 nand or not. 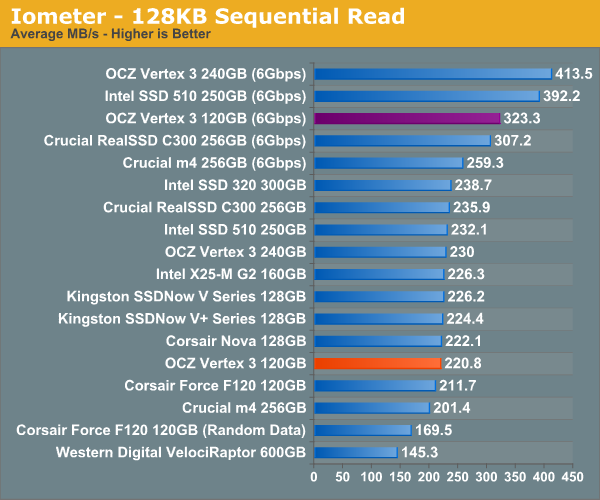 I wouldnt trust OCZ response given their track record.